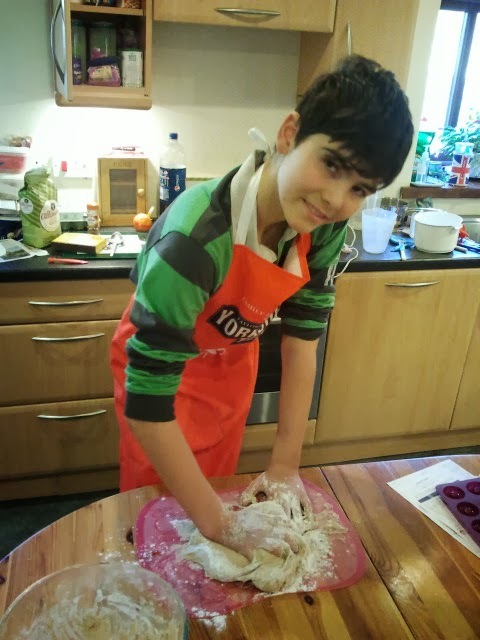 William is a keen baker and is always trying out new recipes. When we were in Harrogate at the end of December I spotted a Lakeland store and had to go in for a browse. 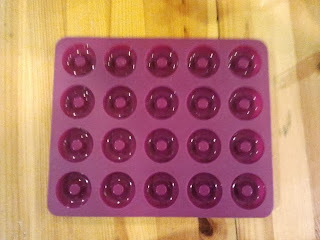 Lakeland sell lots of amazing products and as it was just after Christmas there was a sale on so I had a good browse. 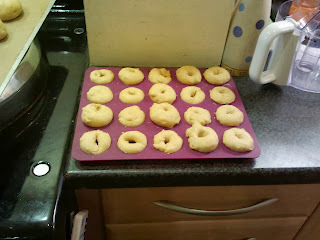 I ended up with a bag of reduced items and one of them was this doughnut tray. 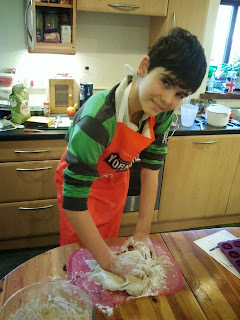 We had talked about making doughnuts the week before so it was the perfect present for William. 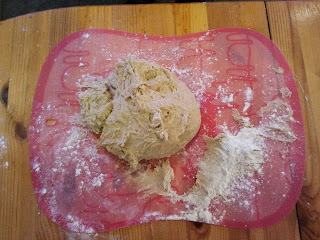 After a couple of false starts, due to out of date yeast and then not warming the milk which meant the dough didn't rise we had a quick trip to Sainsburys to buy new yeast and then we were ready to go again! 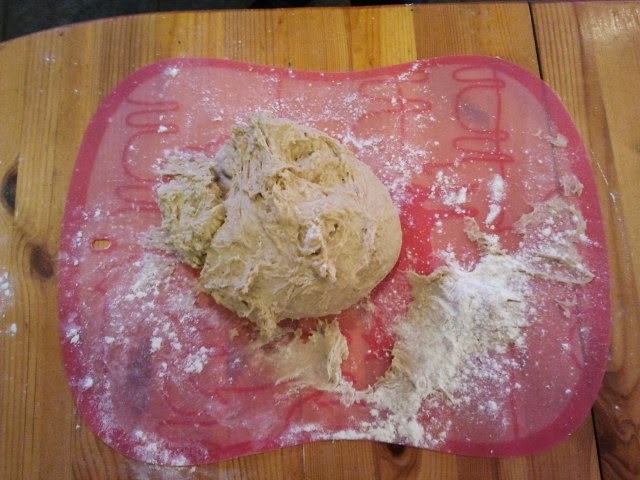 The dough was left to rise in a warm place. 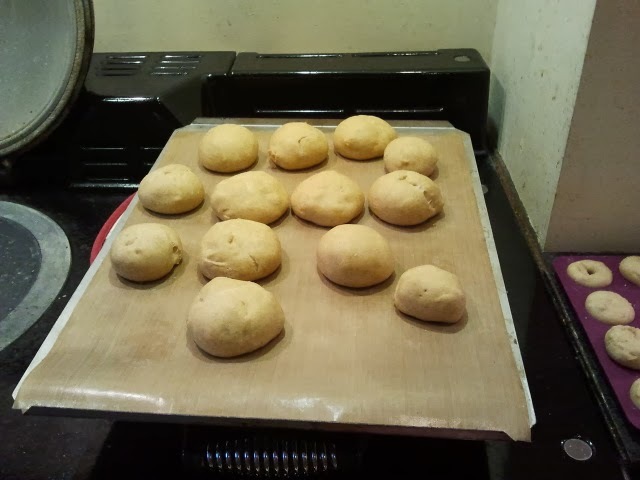 It was quite tricky fitting the dough into the tray and we need to work on keeping the doughnuts the same size! 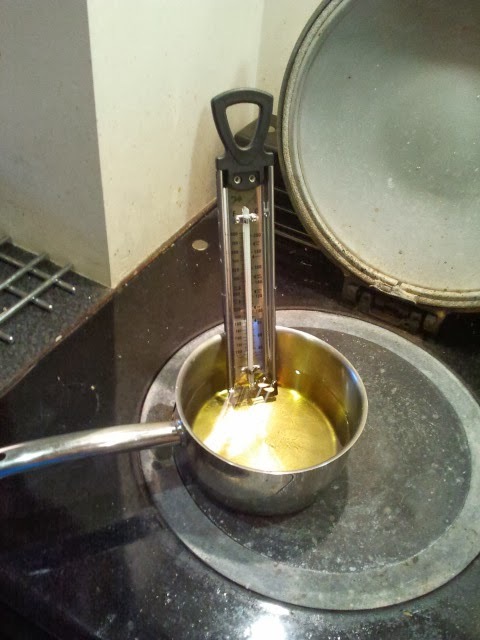 To cook the doughnuts we heated oil in a pan and checked the temperature with Mark's new sugar thermometer. 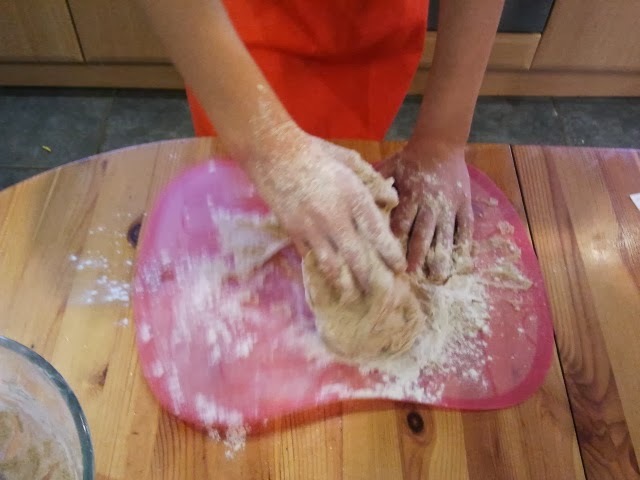 Unfortunately William forgot to take any pictures of the finished doughnuts but they tasted delicious and as he had made plenty we shared them out with the neighbours who all thought they were tasty too.